This entry was posted in Investor, Stock Market and tagged S&P500, S&P500 Earnings, Stock Market on May 31, 2011 by Ted Kavadas. This paper examines households’ financial fragility by looking at their capacity to come up with $2,000 in 30 days. Using data from the 2009 TNS Global Economic Crisis survey, we document widespread financial weakness in the United States: Approximately one quarter of Americans report that they would certainly not be able to come up with such funds, and an additional 19% would do so by relying at least in part on pawning or selling possessions or taking payday loans. If we consider the respondents who report being certain or probably not able to cope with an ordinary financial shock of this size, we find that nearly half of Americans are financially fragile. I find this research, as summarized above, disconcerting. In fact, it almost seems rather unbelievable, until one considers other recent data (some found in posts tagged “paycheck to paycheck” as well as a variety of others found in the “Uncategorized” Category) that seems to confirm a rather strained “financial capacity” among a substantial percentage of Americans. Needless to say, $2000 does not “go far” with regard to many common expected and unexpected outlays, especially those concerning medical expenses. As disconcerting as this paper’s findings are, one can only expect this “financial capacity” to further deteriorate if/when economic conditions worsen. This entry was posted in Uncategorized and tagged paycheck to paycheck on May 26, 2011 by Ted Kavadas. “The underlying trend is still above-trend growth. That’s not going to be true in every indicator, but the best evidence for that is probably the fact that the unemployment been trending down, Hatzius said. This view, that a recession is “years away,” seems to be widely held among economists and other professional forecasters. Last week I posted three sets of forecasts, each indicating sustained economic growth for years, as well as other favorable accompanying conditions such as low inflation. 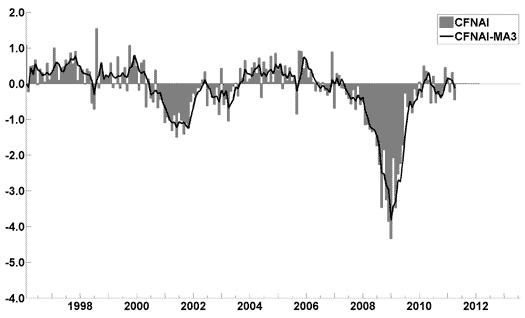 Also of note is that various long-term government projections forecast the same trends. As for “the chance of a contraction in real GDP in any of the next four quarters,” estimates range from 7-12.2% for each of the quarters through Q2 2012. Will these economic forecasts prove accurate? While it may be pleasant to think that we will be experiencing economic expansion for years into the future, with little chance of pronounced economic weakness, my analysis continues to indicate that such a scenario will not prove accurate, unfortunately. This entry was posted in Economic Forecasts and tagged Economic Forecasts on May 24, 2011 by Ted Kavadas. This situation of recent college graduates unable to find (suitable) jobs is very problematical and pernicious on many levels. The negative impacts of the situation far transcend the college graduates involved. This entry was posted in Unemployment and tagged underemployment, Unemployment on May 23, 2011 by Ted Kavadas. I found various notable items in Walmart’s Q1 conference call transcript (pdf) dated May 17, 2011. I view Walmart’s results as particularly noteworthy given their retail prominence and focus on low prices. I have previously commented on their quarterly results. Rising gas prices, high unemployment and increasing inflation continue to be the most important issues facing our customers today. One in five Walmart moms list gasoline as a top expense behind housing and car payments. We continue to be prepared to help her with low prices and broad assortment during this time of uncertainty. This entry was posted in Uncategorized and tagged paycheck to paycheck on May 20, 2011 by Ted Kavadas. 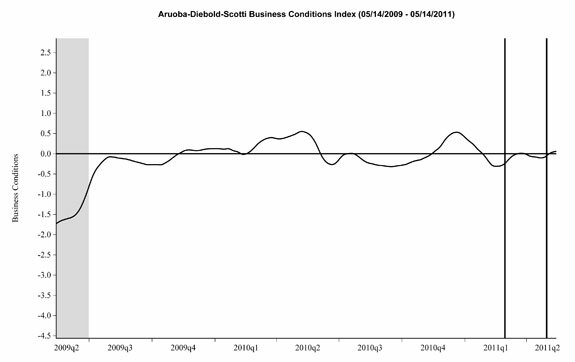 This entry was posted in Economic Forecasts and tagged Economic Forecasts on May 19, 2011 by Ted Kavadas. The Philadelphia Fed Second Quarter 2011 Survey of Professional Forecasters was released on May 13. This survey is somewhat unique in various regards, such as it incorporates a longer time frame for various measures. As well, there are also a variety of time frames shown (present through the year 2020) with the expected inflation of each. Inflation is measured in Headline and Core CPI and Headline and Core PCE. Over all time frames expectations are shown to be in the 1.4-3.5% range. 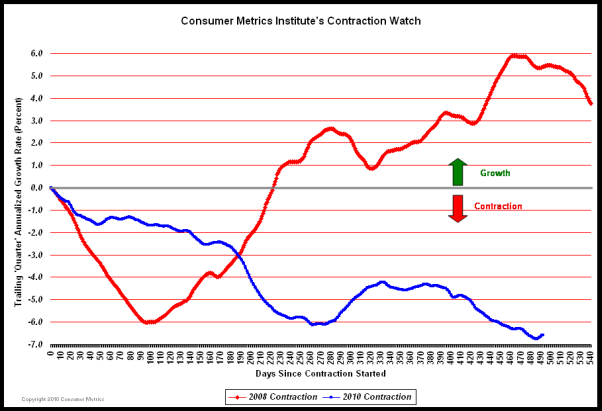 This entry was posted in Economic Forecasts and tagged Economic Forecasts on May 18, 2011 by Ted Kavadas. Most of the article discusses inflation expectations, although raising the debt ceiling and other topics are touched upon as well. This entry was posted in Economic Forecasts and tagged Economic Forecasts on May 17, 2011 by Ted Kavadas.